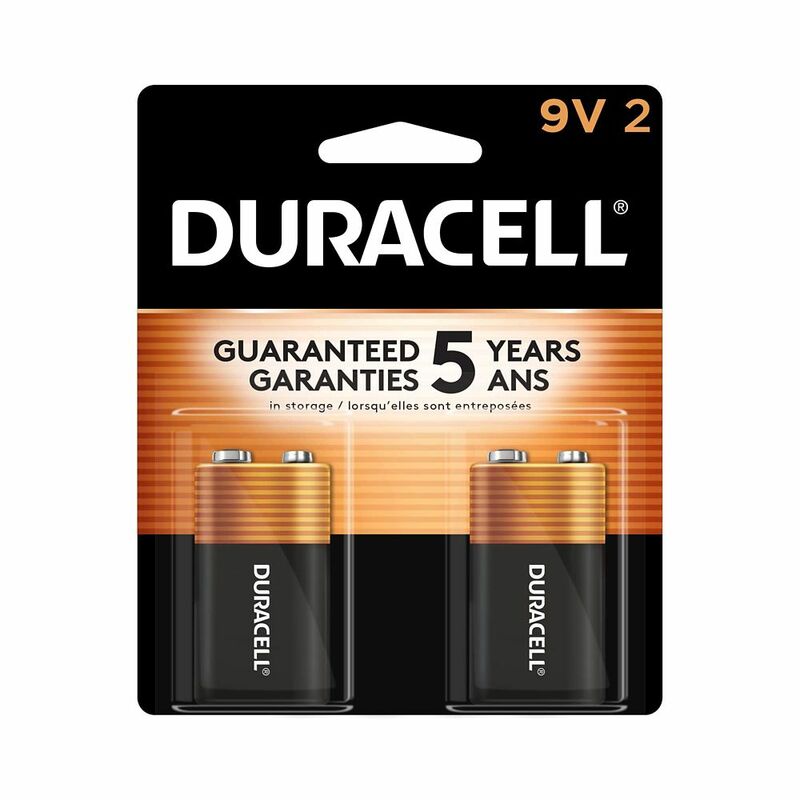 Coppertop 9V Alkaline Batteries 2 count is rated 4.8 out of 5 by 225. Rated 4 out of 5 by Chiru from So far good on one for a automatic drip-system on... So far good on one for a automatic drip-system on plants.Waiting to install the carbon Monoxide alarm. Rated 3 out of 5 by Fred from Yea, whatever. Ok batteries. Not for long term use.... Yea, whatever. Ok batteries. Not for long term use. Rated 5 out of 5 by Rick from It's Duracell, they last, enough said.... It's Duracell, they last, enough said. Rated 5 out of 5 by Solo from Excellent batteries. I've used these type for years. I'm glad I did not have to purchase a large ... Excellent batteries. I've used these type for years. I'm glad I did not have to purchase a large pack. I don't have many different use for them.